(1) How do I sign up for your receiving service? Registering is easy! Simply register here with your full name and contact information and you can immediately place an order the same day using your name and our address for the shipping! (2) How do I use my Canadian credit card to make US purchases when my shipping and billing addresses don’t match? No problem! Call the bank that issued your credit card and request that they add a secondary address to your file – Point Roberts Parcel’s address! (4) Can someone pick my parcel up for me? Yes, provided they bring the email notification from us for each parcel they wish to pick up. (5) How can I pay when I come to pick up? We accept US and Canadian cash , MasterCard and VISA. There is a $10.00 minimum and a $1.00 fee for all credit card transactions. (6) Is it okay if the website I am ordering from adds 4 digits after the zip code “98281”? (7) What time are you usually done processing your shipments for each carrier? If I’m coming to pick up the same day my parcel arrives, what time should I come? Saturdays are different. Only USPS delivers on Saturday, and they do so around 11am. We are usually finished logging in around 3pm, but that time does vary. If you need to pick up your parcel the same day it arrives, we suggest you call before coming down to verify the delivery times first or wait for our e-mail notification. Otherwise, please plan on picking up your parcel the day following its delivery. 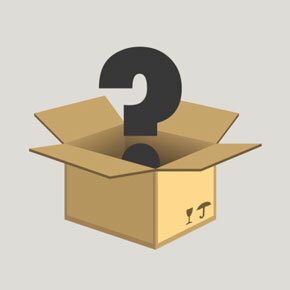 (8) What’s the largest sized parcel you are able to receive? We accept all sized parcels. However we do not have a fork lift –yet- so you’ll need to make sure you have adequate help to load it in your vehicle. (9) When I place my order, should I give the sender your phone number or mine? 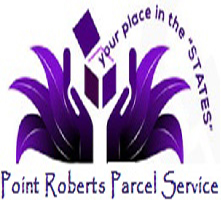 You should list your phone number, not Point Roberts Parcel’s UNLESS you are ordering a freight shipment. If there are any questions about your order, for the most part the sender will want to talk to the person who placed the order, not our staff. (10) Are you able to sign for my parcel? We sign for all FedEx, FedEx Ground, and UPS parcels! If there is a signature requested for USPS parcels, they will be signed for as well. (11) What are your hours? We are open Friday, Saturday, Sunday, Monday from 9am to 5pm, and Tuesday thru Thursday 9am to 8pm. (12) How long will you keep my items? We’re so glad you asked! We hold almost everything for two months in total, but we do start charging late fees after two weeks. Late fees are the price of parcel for each week thereafter. Items that are received without enough identifying information on them for us to notify you will only be held for a total of 30 days. See our TERMS page for more details! (16) What should I do if I haven’t received an email? We do ask our customers to always track their own items just in case the emails don’t come through. If the tracking shows as delivered (track your items here) and you haven’t heard from us by the following day, please get in touch with us and we will be more than happy to help you figure out what happened! (17) Will you forward my parcels to me in Canada? We’re sorry to say it, but NO. We cannot forward any parcels at all. If you cannot come down and pick up your items, you’re more than welcome to send someone else to pick up for you. (18) Do you charge per parcel, or do you have some sort of bulk discounting available? We do charge per parcel – even if you’re ordering from the same company. We do not have any bulk pricing in effect.